We're looking at a handful of commands that Jesus gave His followers that guided the church for its first 300 years while it was without the Bible. 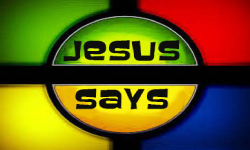 These few things that Jesus said are radical, unnatural, and seemingly unrealistic. However, the early church conquered the Roman Empire by actually living out these commands.